Every single training was engaging and eye-opening, so it’s almost impossible to share only a few thoughts, but here are some ideas that really stuck with me. 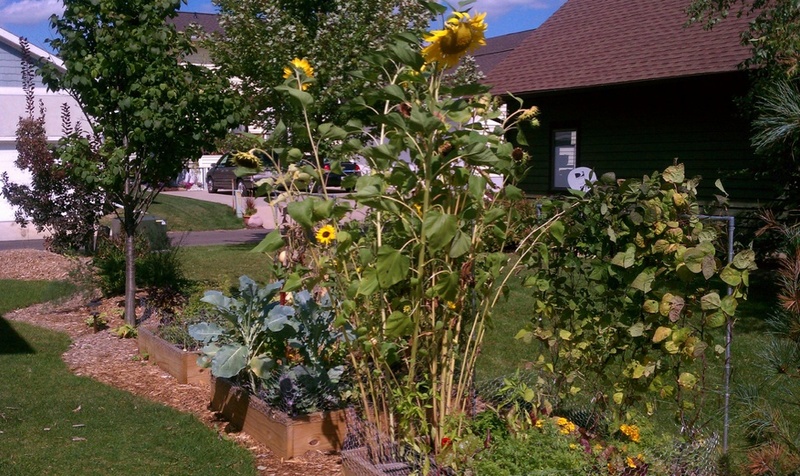 Raised bed vegetable garden installation...this could be your yard! Whew! I know that was kind of heavy, but I do believe in taking a step back every now and then to realize that our little project here in Middleton, WI is part of something much bigger. We arrived home with a great sense of empowerment, inspiration, and responsibility. We have so much to do to get our program ready but there is so much possibility! We are starting our collaboration with the Middleton High School Ecology Club and AP Environmental Science class next week. We are also starting to bring together a team of students and community members who plan to help launch Growing Food and Sustainability in a number of ways. If you are interested in taking a more active role in the creation and running of this program, please contact us! We are dedicating a lot to this project and we would love to expand our team! In addition to “adult” community members, our goal is to have 5 full-time youth (under 30) participants and 5 high school interns signed-on by June. Please see the “Get Involved > Participate” page of our website for more details. Great post – so excited to hear you got so much out of it!